This phenomenal salmon recipe is a real winner for any dinner party. Your guests will be impressed with your presentation skills, not to mention the beautiful balance of flavours from the salmon and oyster. You will need to marinate the salmon for 24 hours, so make sure you start this dish in plenty of time. 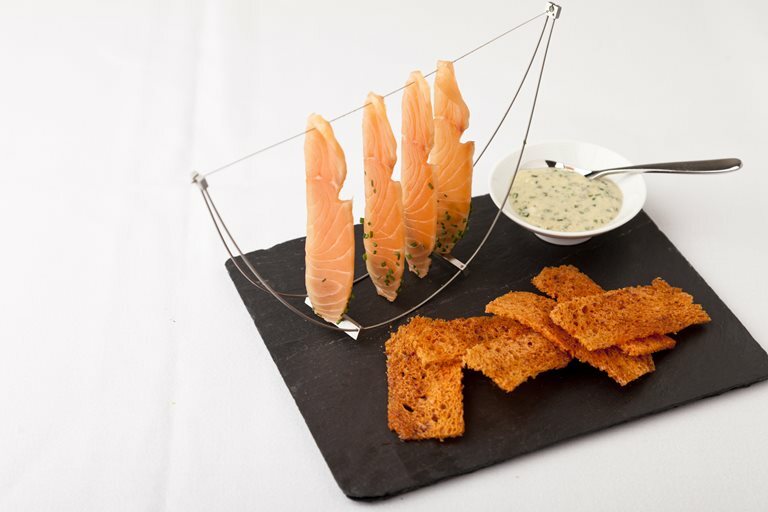 Kevin Mangeolles uses wires to plate this dish, but it works just as well when placing the salmon slices delicately across a plate.